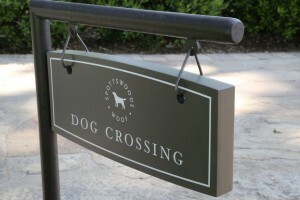 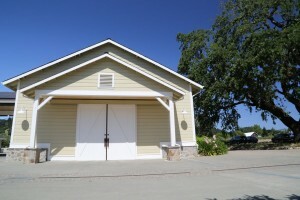 Spottswoode Estate Vineyard & Winery is located at the edge of a residential neighborhood in the town of St. Helena. 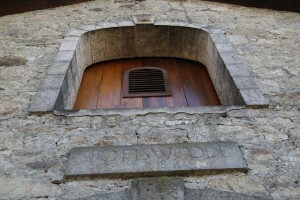 There are many Napa Valley wineries with St. Helena addresses but very few actually within the town limits such as Spottswoode. There are two parts to this winery, the actual winery and offices and just down the street – the Spottswoode Estate Property & home. 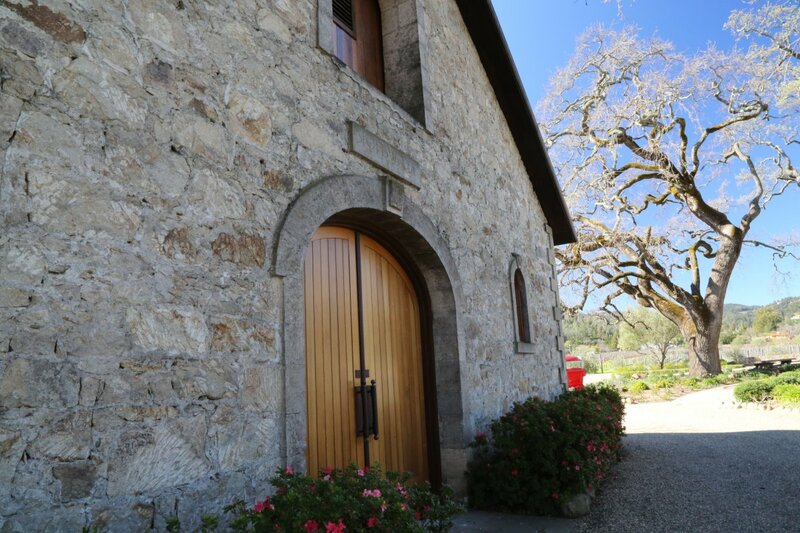 This is a family owned winery; it is women owned and managed including some of the wine making team. 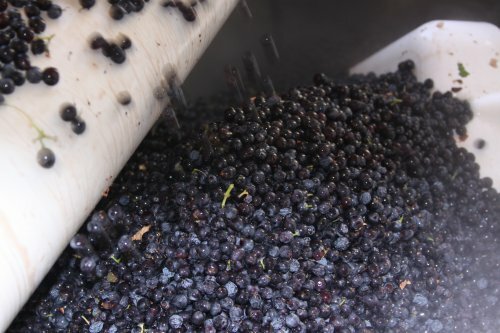 They produce limited quantities of only three varietals, Sauvignon Blanc, Cabernet Sauvignon and more recently they are working on a Rhone program and have produced very small quantities of a Syrah. Because of their limited visitors permit, tours are held only Monday through Fridays at 10am with no more than 10 people allowed per tour. As a result, especially in the spring and summer, reserve well in advance; we recommend at least 6 weeks prior notice. 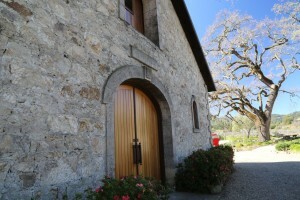 The tour visits their barrel aging rooms, including the one in the old stone “ghost” winery which dates from 1884. 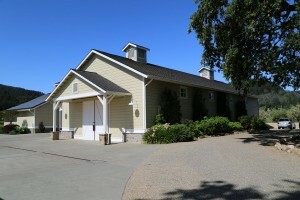 Note the old redwood ceiling in this building – it was discovered during their renovations of the building. One of their barrel rooms contains three “egg shells” which are heavy concrete aging tanks imported from France which resemble eggs. 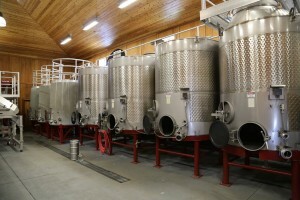 More Napa wineries use these types of tanks but Spottswoode was one of the earlier adopters. 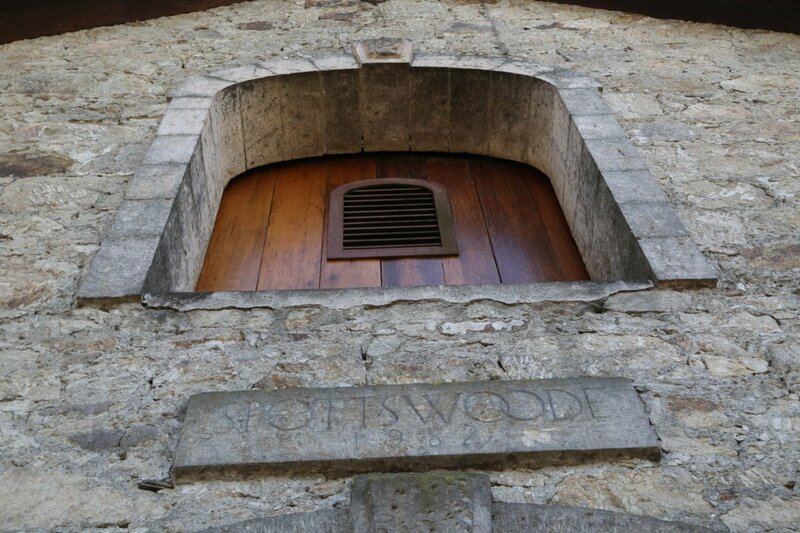 Spottswoode has appropriately named them Huey, Duey & Luey. 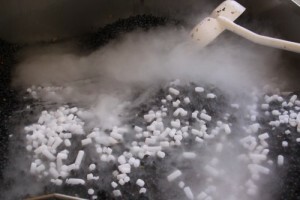 And since they began using these larger concrete ‘eggs’ they have since acquired smaller concerte tanks “cuves” and clay amphora. 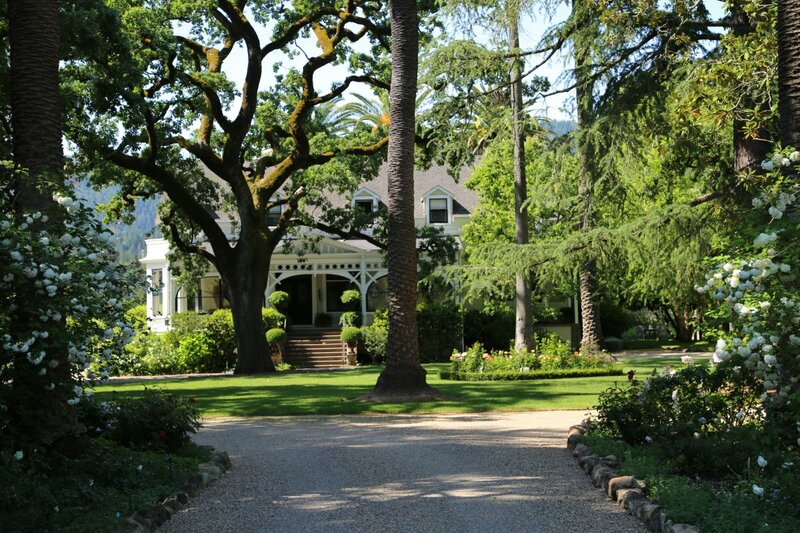 The real treat on the tour besides the wine of course, is visiting the Spottswoode Estate. 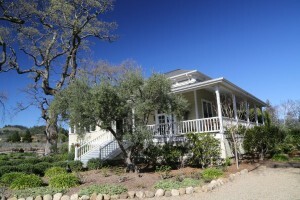 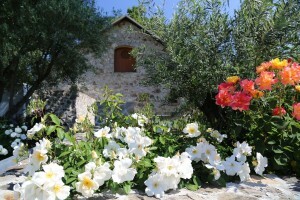 This property is located about 5 minutes walking from the winery down a side street through a residential neighborhood. 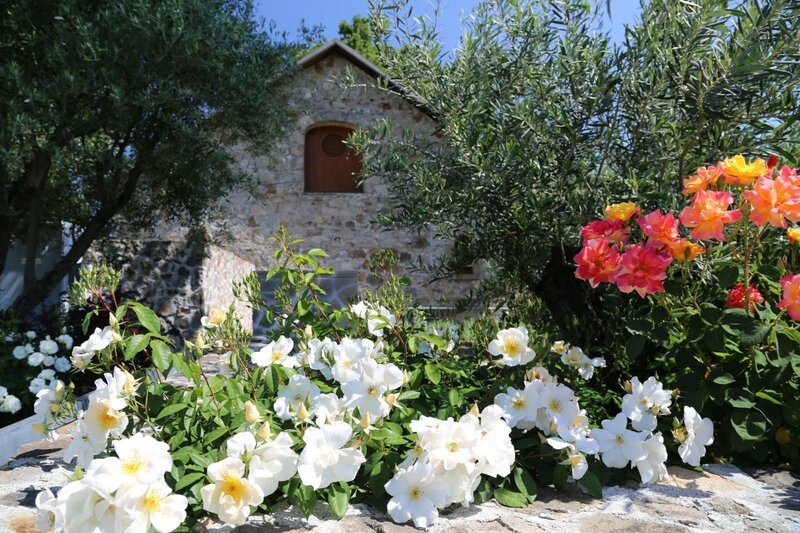 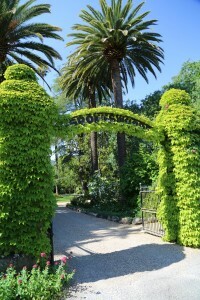 This is a very popular tour in the spring because the estate grounds are all ablaze in new growth and a diversity of flowers. 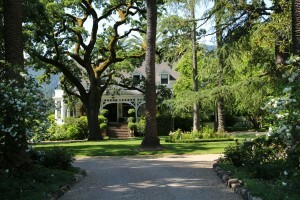 Owner, Mary Novak (now deceased) lived in the large house on site. 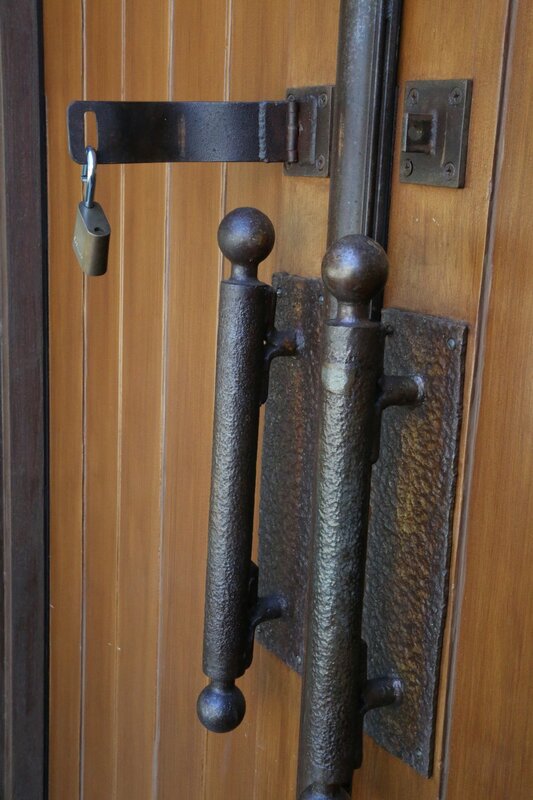 Previous owners during prohibition used to raise frogs on site for restaurants as well as mushrooms in the dark dank basement. As a tribute to this heritage, you will see a metal statue of a frog clinging to one of the stately trees. Often the friendly wine dogs will be lounging around the estate and when you enter the grounds they will bring their happy greetings directly to you! 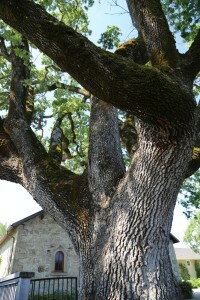 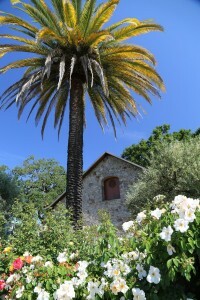 After moving up from northern San Diego County, Mary and her husband Jack purchased the property in 1972 having no previous experience with wine; it was already a very historic property at this time and the vineyards contained a number of varietals you just don’t see much of in Napa today including French Colombard and Gamay. 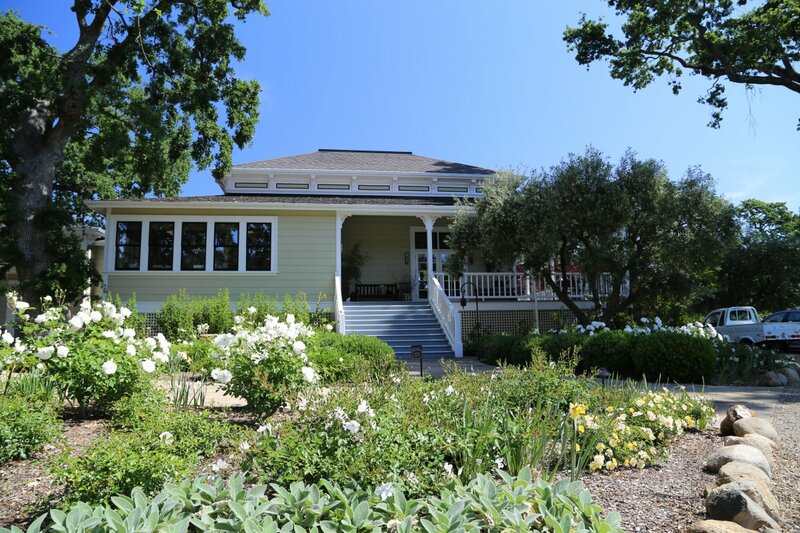 With 5 children the family was looking for a lifestyle change, needed a large house and as daughter and President of Spottswoode, Beth Milliken remembers, her father was “looking for a place where he could ride a tractor in the vineyard”. 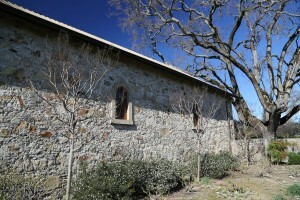 Their vineyards grow within site of the winery and their estate. 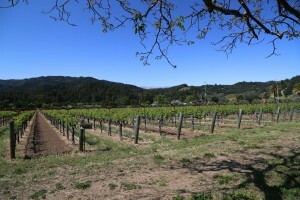 All fruit for their Cabernet Sauvignon come from these vineyards. 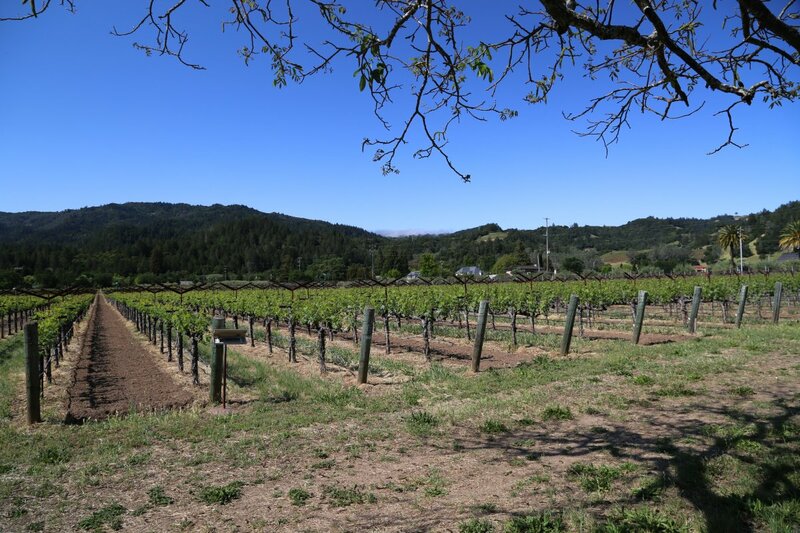 This is some of Napa’s most northerly bench-land; the vines are planted on an old alluvial fan. 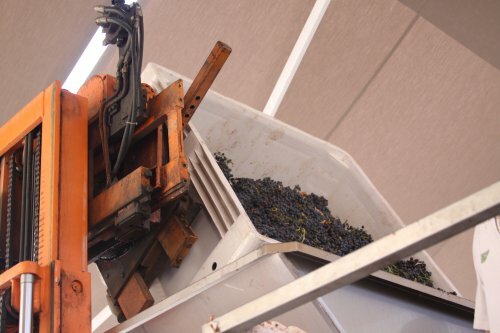 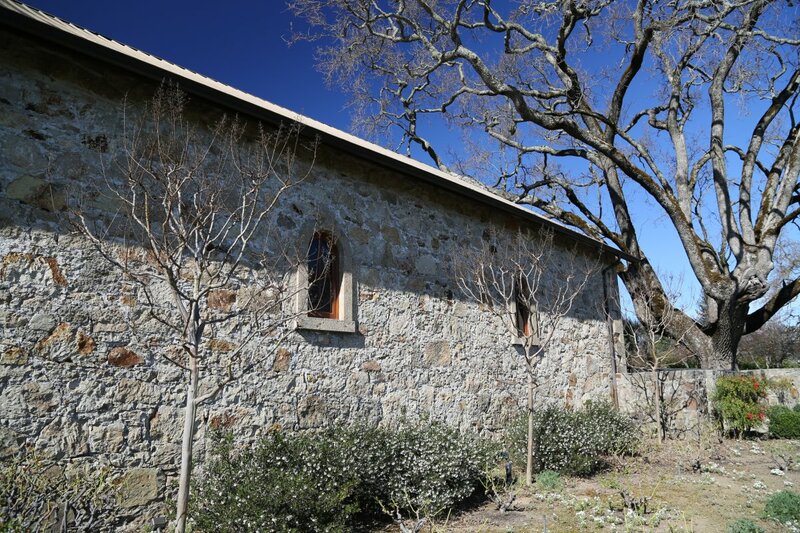 They soon replanted the entire vineyard due to the great age of the vines and then sold the fruit for several years to Napa notables such as Heitz Cellars, Spring Mountain Vineyards, and Shafer Winery. 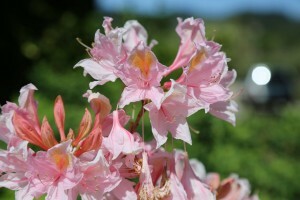 Unfortunately Jack passed away prematurely at age 44 in 1977 leaving Mary and the 5 kids. 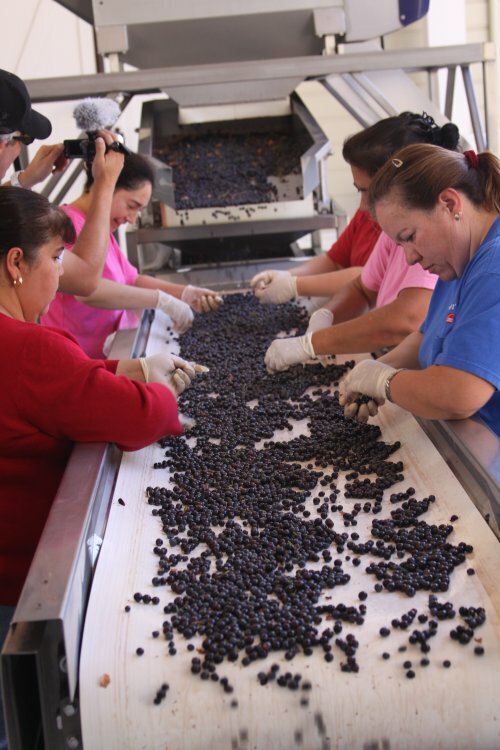 Fortunately Mary had the foresight and perseverance to do more than just sell the grapes. 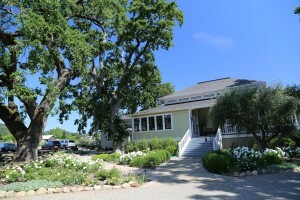 She founded the winery in 1982 when they made their first vintage of Estate planted Cabernet Sauvignon. 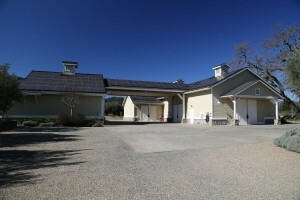 In 1999 they built a state of the art winery located within walking distance of the estate and all their wine is made there. The winery is very much a family operation; for many years the winery was overseen by Mary (she died in 2016) and today her two daughters Beth and Lindy manage the operations. 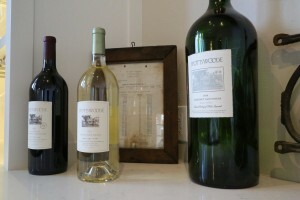 Long time local vintner Tony Soter (founder of Napa’s Etude winery) was their first winemaker. 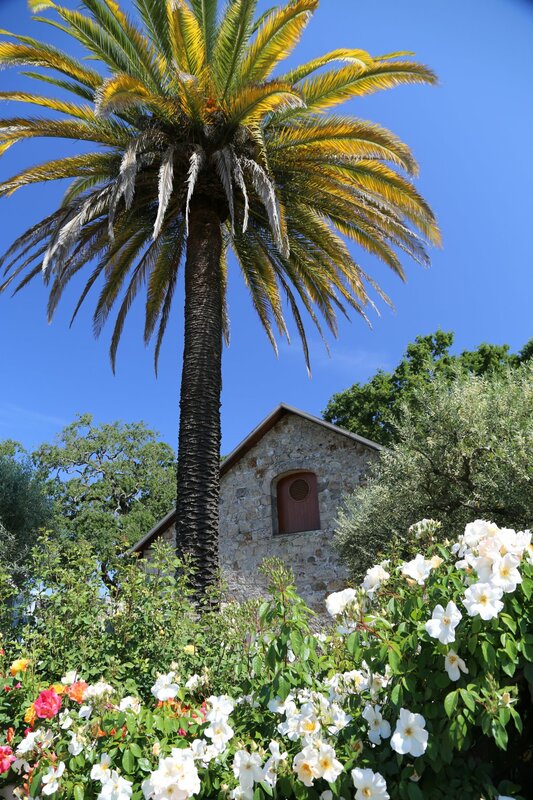 He also managed their vineyard and started farming organically; in fact they were the first Napa winery to receive their organic certification. 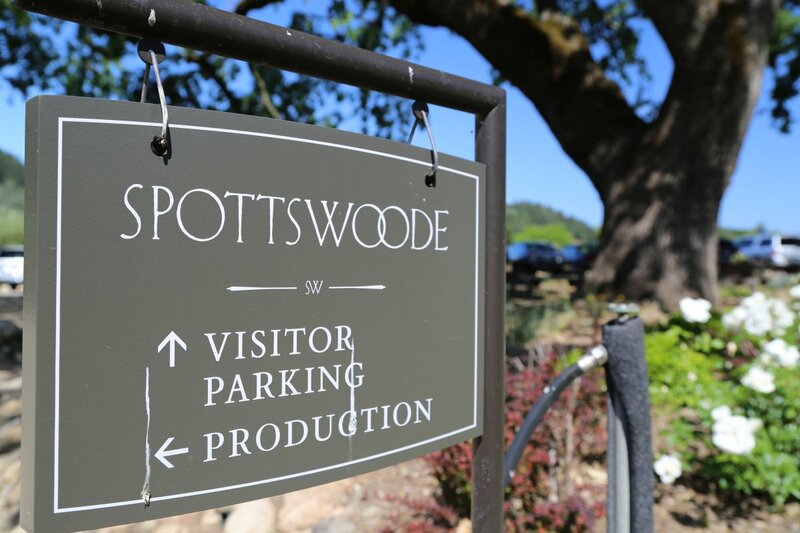 Spottswoode has a rich history of top winemakers come through their doors – besides Soter, local well-known vintners Pam Starr and Rosemary Cakebread have produced wine here. 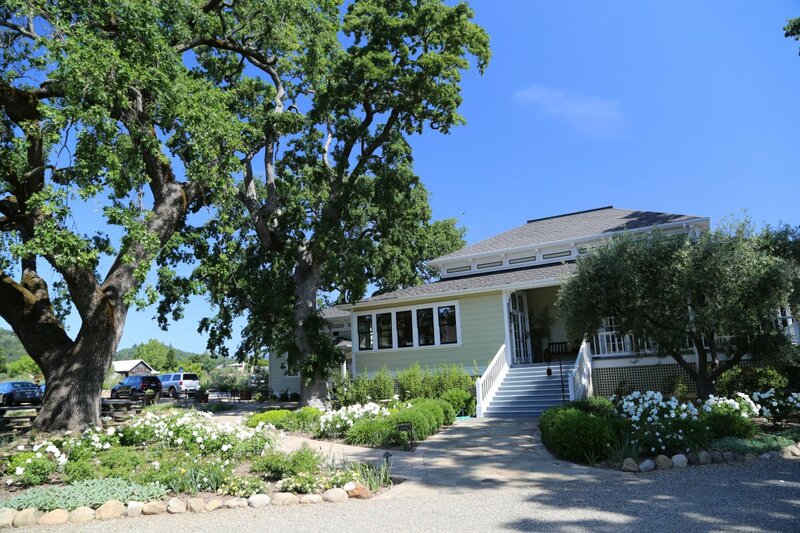 Weather permitting, typically you will enjoy their Estate Cabernet Sauvignon next to the pool under the old palm trees overlooking the organically farmed vineyards and grounds. This is premium Cabernet Sauvignon and it shows in the nose, the mouth feel, the balance and flavor. 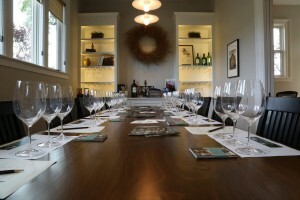 The vintages we have tried during our several visits are consistently delicious and have fit our palate like a glove. 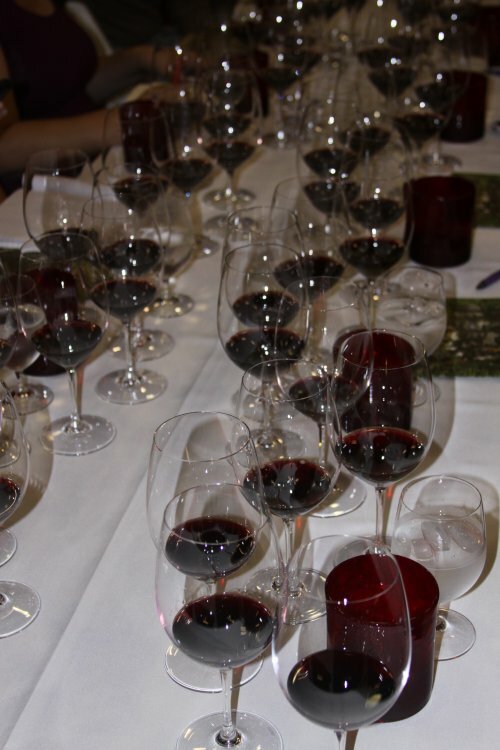 The 2004 vintage has a wonderful elegance, balance and structure containing subtle spices both in the aromas and on the palate. 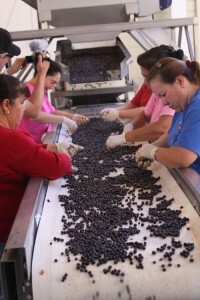 There is a diversity of both red and black fruit flavors. We have tasted an incredible number of Napa Cabernet Sauvignon wines and when people ask us for a Napa Cabernet recommendation, invariably Spottswoode’s Estate Cabernet is always towards the top of our always growing list. Spottswoode is also one of the few Napa Valley based wineries associated with 1% For The Planet. All participating businesses in this program donate one percent of their annual revenue to environmentally friendly charitable organizations. 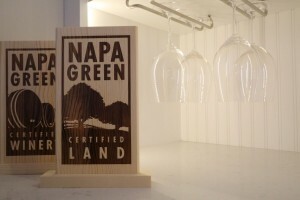 1% For The Planet was started by the owner of Patagonia (Yvon Chouinard). 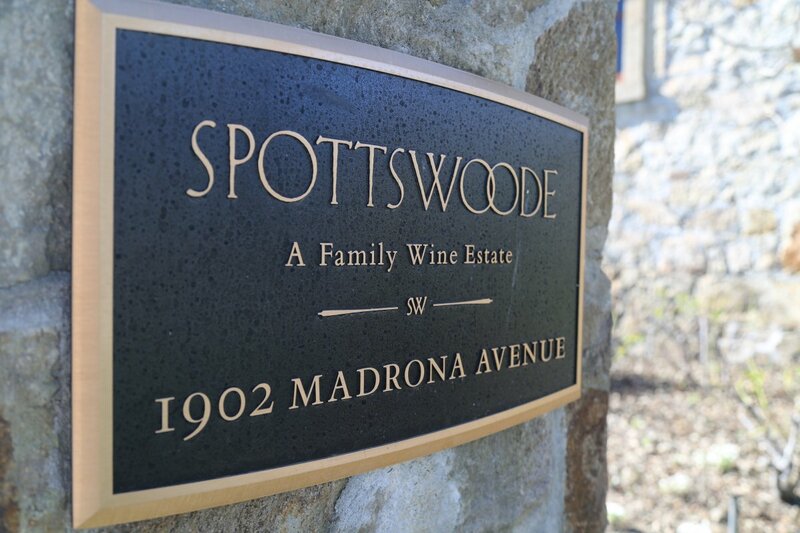 Spottswoode is not chasing scores with their wine (although they have certainly earned top scores in the past from respected wine writers) – the Novak’s have a singular goal to make the best wines possible representing their estate property. 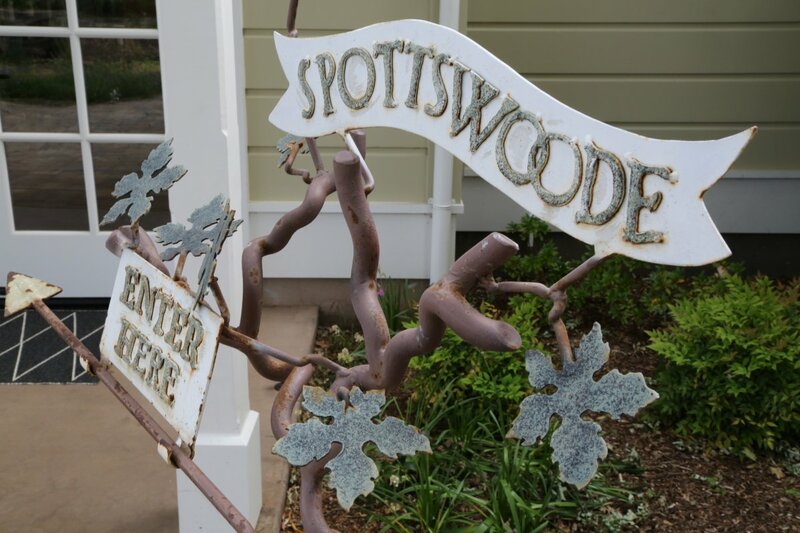 The Spottswoode’s Cabernet Sauvignon wines age remarkably well and some of the older vintages we have tried show a richness of fruit that normally you might expect to be found in much younger wines. These wines are elegant, sophisticated and are well-balanced between fruit, acidity and structure.